The Gecko cut away marine safety helmet does not have side inserts to mount equipment however it will take a sticky pad grip attachment for those who wish to use it alongside flashlights and camera equipment. Ear defenders can be mounted to the helmet or worn underneath it, visit our ear defenders page for details. Click on the images below to see exploded and multi-angle views of the cut away marine safety helmet. Working from the successful model design of the Open Face the Cut Away has been designed with an open ear shape to allow for the use of ear defenders. The Cut Away is compatible with most ear defenders in the three main styles of wearing them. The grooves along the helmet are designed to increase the strength to weight ratio of the shell. It also allows water to run off the back of the helmet to keep vision clear. The patented inflatable liner is an integral part of the helmet design; through an oral valve, the liner has the ability to inflate or deflate to create a perfect fit every time. 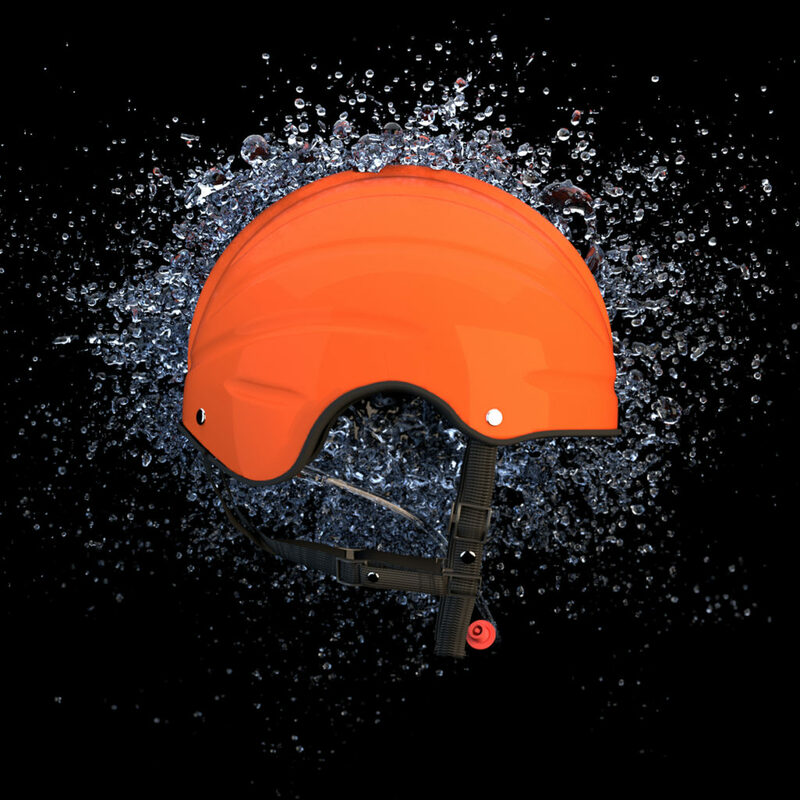 This offers an inherent buoyancy to the user, and if overboard and rising up to the surface will position user to rise with the helmet to take any impacts. The neck is cut high to allow users full motion of their head to look all around them including above them in case of a helicopter rescue. This also allows for life jackets and buoyancy aids to be used and not push the helmet up from the back and obscure user vision.